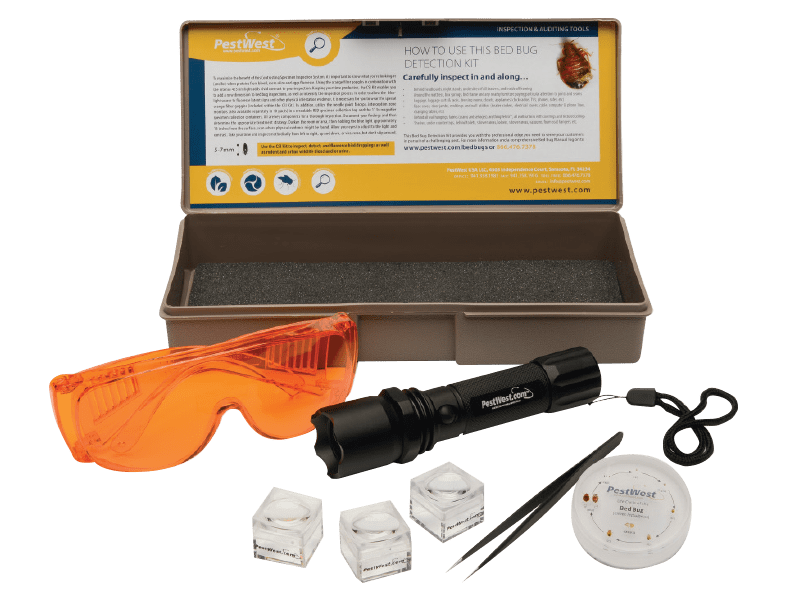 The CSI kit uses a specialty blue light in conjunction with orange goggles to contrast proteins from bed bugs, blood, feces, caste skins and eggs. Cutting your inspection time by hours, the blue-light is used to visualize latent signs and other physical infestation evidence, wear orange goggles which are included in the kit. The blue LED flashlight: made of Aerospace-grade aluminum tempered Pyrex Lens; w/ Mil-Spec Type III hard-anodized; Shock tested with a drop test of ten feet. Rechargeable battery: an estimated life of 300 hours without a significant decrease in power output. Bed bug life cycle disc: actual eggs, nymphs and both female and male adults can be viewed at a glance providing an illustration of bed bug life cycle. Replacement components are readily available.